Hair, while we may take it for granted, does so much more for a gent than just warm his head. Hair is a powerful proclamation; it’s transformative. Hair trends may be well and good for a brief second in time, but there are no trends that could rival the longevity of a classic hairstyle. Perpetually stylish, our top six picks are anything but transient fads. They’re style staples and here is our breakdown of the best ways to achieve them. The French Crop is classically famous because it is so simple. There isn’t much hair to distract from your face, hence why it has worked so well for many generations; it is minimalist. 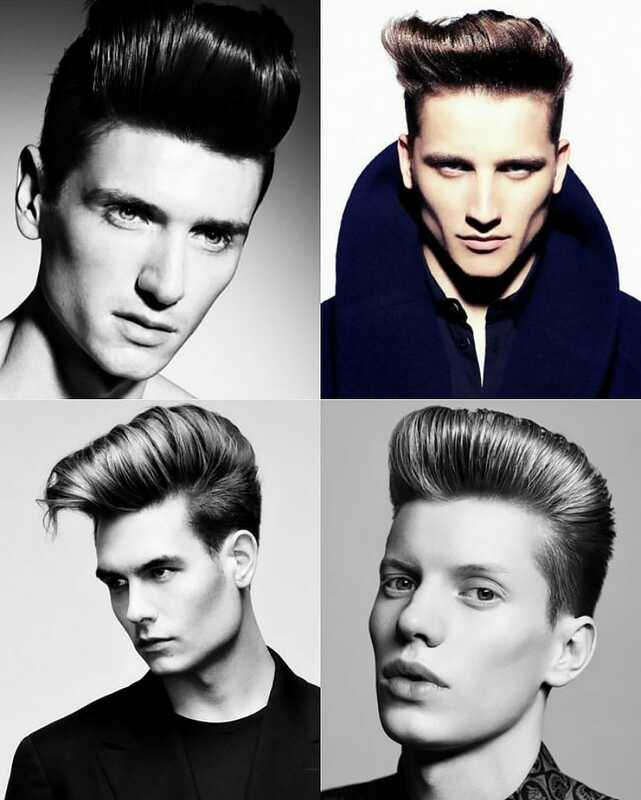 Synonymous with the ‘Caesar Cut’, the French crop boasts shorter sides with similarly cut locks up top. Incredibly versatile, this is a balanced haircut because there is not too much distinction between the hair up top and the hair on the sides of the head. Consider your hair texture when going for the French Crop. If you have fuller, thicker hair, ask your barber to cut the ends more strategically to add dimension. So what face shapes do a French Crop work favourably for? 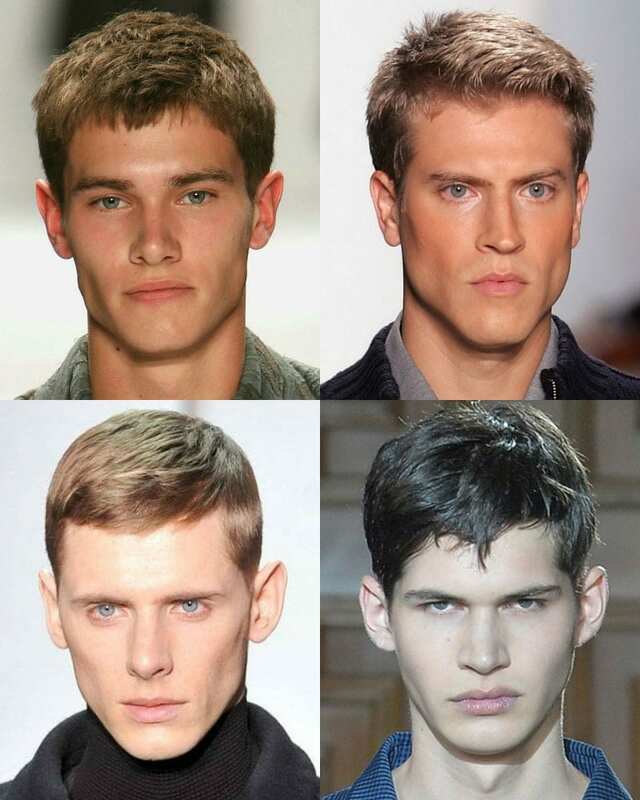 Well, rectangle faces need shorter hairstyles to distract from a long face, so this haircut is perfect. Oval shaped faces, as well as diamond face shapes, can also handle the shorter proportions of the French Crop. First things first, ensure your French Crop is cut in a way that complements your hair type – this will ensure easier styling. Inform your barber about your hair type and your desired length, then work together to ensure the length complements your face. Determine how you want your hair to sit. A traditional take on the French Crop involves styling your hair towards the front of your face. Blow-dry your hair when it is wet, working the hair dryer and a comb or round bristle brush in the direction you want your hair to sit. Keep your dryer at a distance when you are doing this. You will want a sleek, medium hold finish, so work pomade or a dependable hair clay in the direction that you previously blow-dried your hair in. 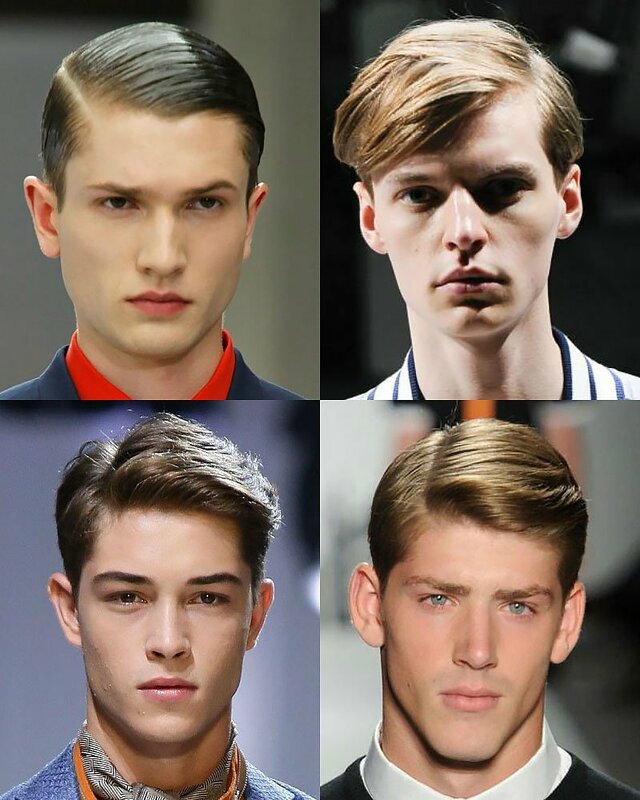 Slicked back hair is sleek and a statement, but it is still nonetheless classic. It does work well when hair has grown out but is also just as easy to achieve with an undercut. Our ultimate style inspiration for slicked back tresses? Johnny Depp in Cry Baby, where Depp’s strands were combed back with a glossy finish. 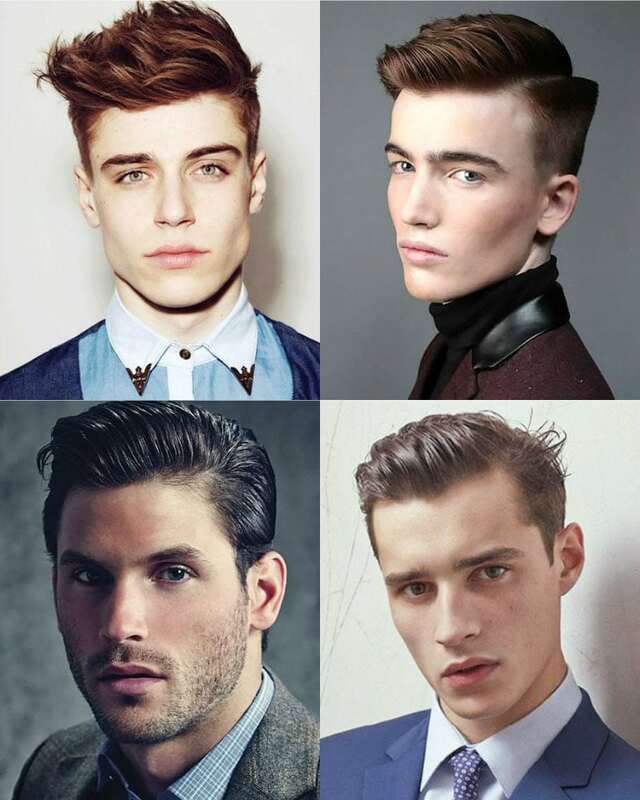 Be warned – some hair types may not hold a slicked-back hairstyle as well as others. Incredibly thick hair is harder to work into a slicked back style; it is typically easier to perfect when your hair is fine; just ensure that you have enough volume to handle glossier products that may be worked in. 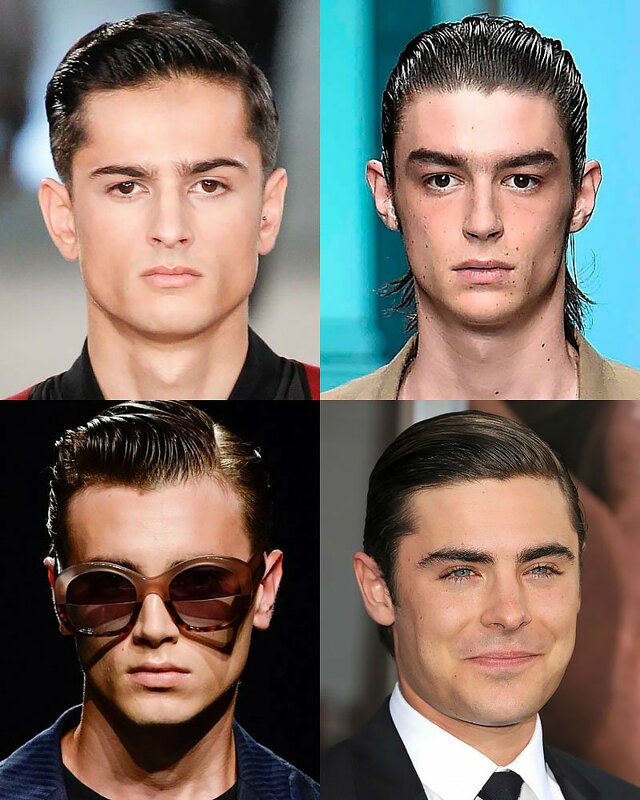 The slicked back hairstyle is ideal for those with longer, rectangle faces, but also is perfect for gents who possess the ever-versatile oval face shape. Backcomb your hair so that when you slick it back, it won’t read too severe. This will also make your take on this classic hairstyle a lot more versatile. Utilising a decent pomade that has great hold and some shine (oil-based ones will do the trick), work the product into your locks. Proceed to comb the hair toward the back of your head. Everyone’s hair is a different texture, so experiment with what you think looks right with your face shape and your hair type. If you want an extra amount of hold, use a light-hold hairspray to keep your locks in place all day/night. Whether it is the side parts of the Twenties, Forties, Sixties or contemporary versions that you identify with, the side part may just well be the most versatile and iconic classic hairstyle of all time. Ultra-refined or texturised adaptations are great, and these versions highlight the beauty of this hairstyle – it can look as mature or as youthful as you want. It is all about how to approach your cut. For a more modern interpretation, work with longer proportions up top and distinctively shorter sides. If you are after something a little more structured, a side part is also nicely done with shorter length hair. Glossy finishes work wonders for a nod to the past, and matte finishes are an updated revival of the hairstyle’s classicism. Be it rectangle, diamond, square or round shaped faces, the side part is an excellent idea. Determine which way your hair naturally grows. This will help you decide which way you should part your hair. Run the corner of a comb along the natural line that your hair falls across – this will allow you to be consistent with your part and styling. Utilise a firm hold mousse or pomade and accordingly work the product into your locks, using your part as an indicator for how portions of hair should fall. Use your fingertips as a makeshift comb, keeping your hair neatly brushed with the pomade. Run a comb through your locks for added precision and hold. If your hair is on the thinner side, you should try maintaining more volume so stick to using your fingers. Complete with a scant spray of hairspray for added longevity to your side part. The pompadour has been around since periods as early as the 18th century in France, where the style earned popularity among both men and women. Denoted by the heavy top portions of hair that are combed up and away from the face (contrasting with distinctively shorter sides), the pompadour has enjoyed a contemporary revival. Be it Elvis Presley in his fifties projects or Justin Timberlake practically anywhere today, this style reads trendy no matter the era. Gents with oval, triangle and round face shapes are encouraged to try out the pompadour, as the style is complementary to the facial proportions they possess. Towel dry your hair so it is not overly wet. Blow-dry your hair while combing it up and away from your face. Utilising strong pomade, work in your product starting from the sides and finishing with volumising the top portions of hair. Use a comb if necessary, but focus on running your fingers through your hair to achieve a textured finish. 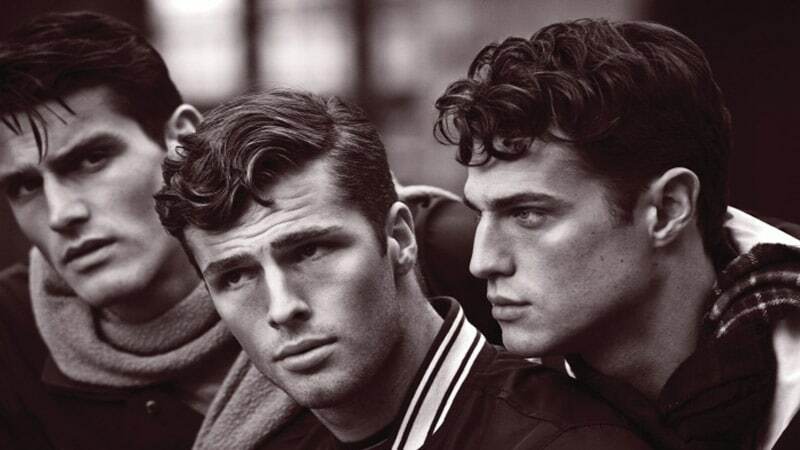 Finish with strong-hold hairspray to set your pompadour. Be it sport, politics or practically anything related to pop-culture, the quiff has cemented its position as one very popular classic hairstyle for men. Similar to the pompadour (which typically emphasises a larger distinction between the sides and the top of your hair), the quiff is created by using the product before and after blow-drying your locks. For references, think Don Draper in Mad Men or Bruno Mars on a Grammy red carpet. Our favourite reference? Vintage movie star James Dean, who kept things textured and dimensional for his movies. Oval, square, heart and triangle face shapes should feel confident with the proportions of a quiff to complement their face shape. Blow-dry your locks up and away from your face, slanting your hair to one side. Use a round bristle brush and comb through your hair to mimic the direction of your hair-dryer. This will allow you to achieve a smoother finish. Spray a good amount of hairspray, ensuring your hair is combined all together. Even more minimal than the French Crop, a Buzz Cut has been stylish for decades because it ensures your face is the centre of attention. Most men can easily identify a buzz cut, and common knowledge tells us that it must flaunt an incredibly short length, where the hair is clipped with a razor very close to the head. Also known as the ‘Induction Cut’, this haircut was the traditional initiation ritual for new army recruits. In a modern context, however, those wanting to go all the way and essentially shave their heads need to be conscious of their face shape. 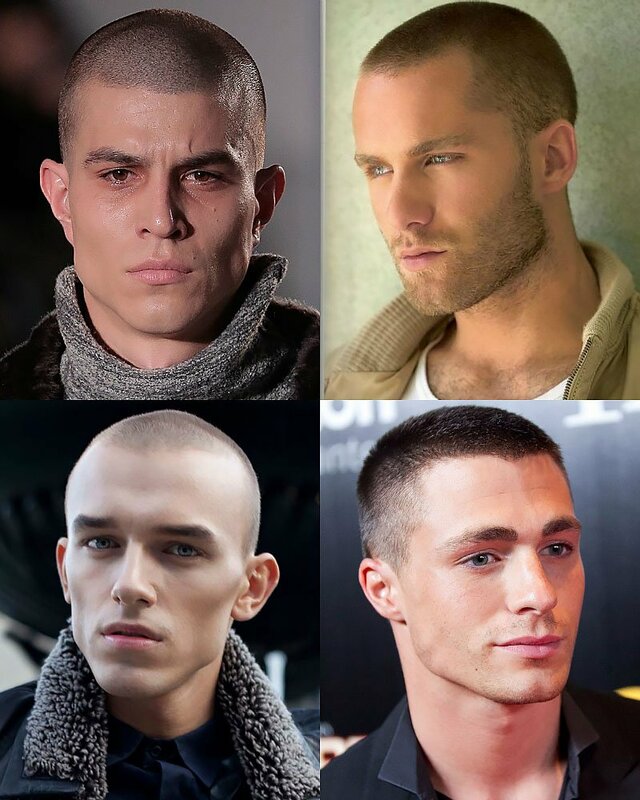 Buzz cuts tend to register better on gentlemen with square or oval face shapes, as the dimensions of these shapes can handle little to no length. What is even better about a Buzz Cut? There is virtually no maintenance, making it a totally no-fuss ‘do.